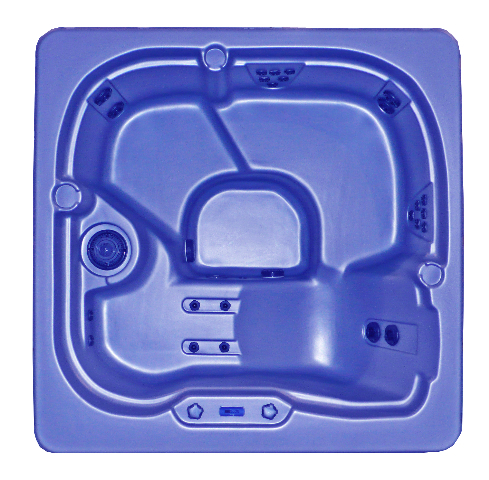 R7Dinc/PDC Smart QUADRA Spa, 240v * • 25 Hydrotherapy Jets • Jet Pump Powerful 4HP* • Reliable 4KW* Heater Hard wired 240V Installation • 78" square x 36" deep • Lounge and open seating for 5 • 365 lbs., empty portable weight • 350 gallons, approx. 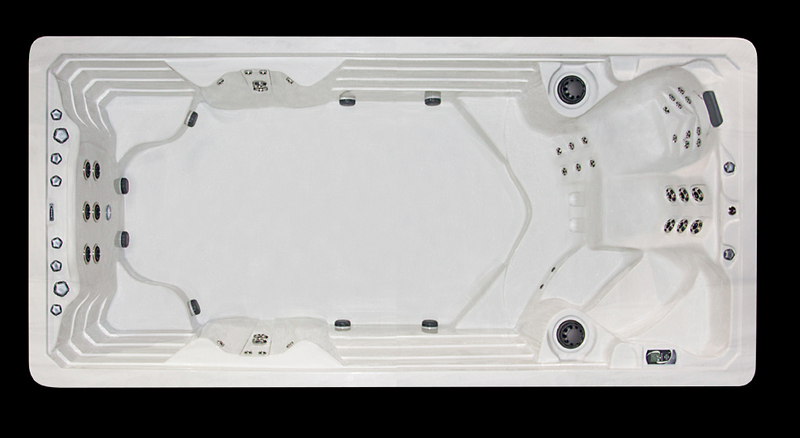 filled capacity • Shell polyethylene in choice of Moonscape Gray or Night Sky Blue PDC Spas round hot tub • HeatTrap™ Insulation System • Digital Control Center and Mood Lighting • Cabinet PermaWood™ Finish; Slate • Cover Sunstar Thermal inc w/Spa order ($433. value) 3 yr. warranty, Ash Gray • Water Purification with Standard Ozone System NO Options available on QUADRA Warranty; Lifetime Limited ** Retail $6,261.00 -R7Dinc wholesale discount as noted plus Tax & delivery.